If you've already boozed it up on all three of Quattro Vino's wine train tours, never fear: The company just announced a fourth route to its lineup. Dubbed the Famiglia Tour, the new path focuses on family-owned wineries, making stops at Silverado Vineyards, Whitehall Lane Winery, and Grgich Hills Estate. For a limited time, you can get tickets for $299. During the tour, you'll get a sparkling wine tasting onboard, along with a four-course meal, and tastings at all three wineries. Napa Valley Wine Tours has made drinking on public transportation just about the classiest thing you could do with your Sunday afternoon. 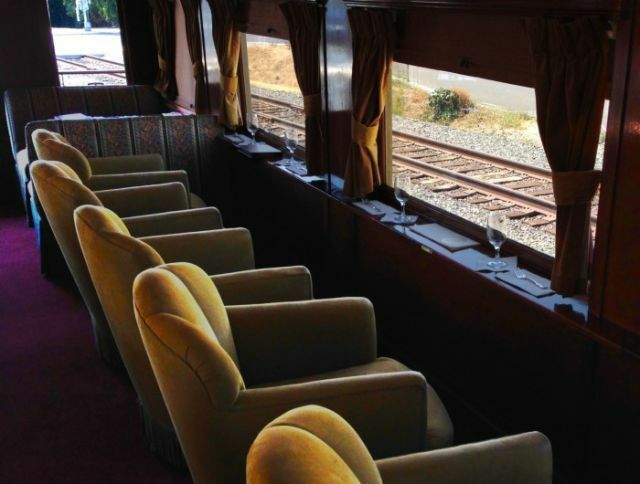 The Northern California railroad track, which was built in 1864 and converted into a wine train in 1989, runs from Napa to St. Helena and back, bringing passengers to famous wineries and serving gourmet multi-course meals along the way, all in the spirit of early travel.